Sometimes the Universe throws life out of whack, which leaves me feeling out of sorts, tired and all around cranky. That’s sort of what happened in October. One of events I was most looking forward to last month though was Becky’s visit and making apple butter with my grandpap. There’s nothing like friends and family traditions to help restore a sense of peace. The plot was hatched for Becky to come for the almost annual (depending on my grandpap’s apple crop) apple butter making festivities sometime back in June. 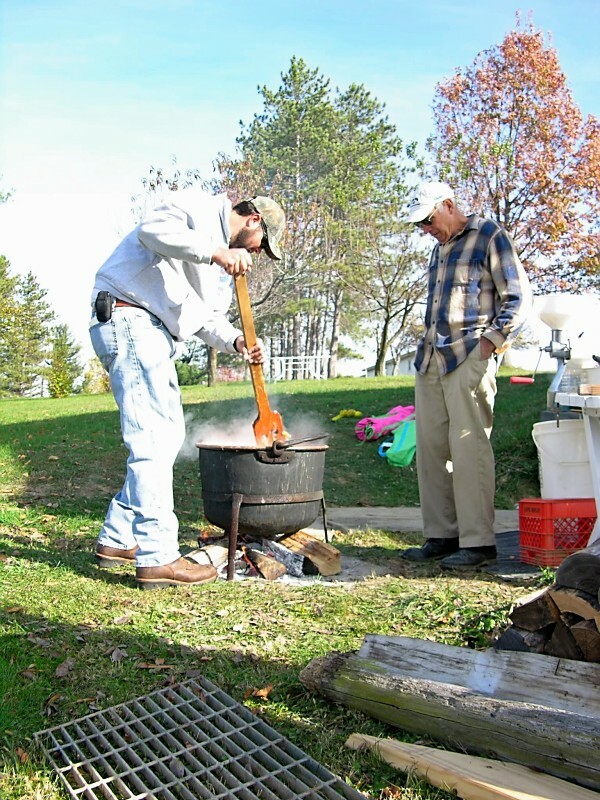 Even though the spring frost had destroyed most of his apple crop, my grandpap assured me he would find some apples and the time to make apple butter for my city friend who had never experienced “real” apple butter made from a copper kettle over an open flame. Basically, in my family, it’s the only apple butter we eat; so to us it’s the only “real” apple butter that’s acceptable. No apples? I’d rather wait another year for my grandpap’s apple butter than try something store bought. Apple butter making usually draws a crowd but due in part to my cousins surgery, there were fewer numbers of us this year, but we still had a grand time. My Pap loves an audience, so having Becky around for the day was incredibly enjoyable for him (and for the rest of us too!). When he found out she brought her camera to take pictures and her Flip camera, he wasted no time in telling her what she would want to take pictures of and explaining the process of what he was doing when the camera was out. You can see some of the videos over on Becky’s blog. Throughout the day, my grandfather told some stories I knew he would tell, shared a few things I hadn’t heard before, and offered up some advice to my brother (something he always does). He pulled out the news clipping from the local paper who ran a story about him making apple butter from 20 years ago. He even let Becky stir the apple butter for a few minutes (getting to stir the apple butter is reserved only for those deemed worthy enough) and made her the official taste tester to make sure there was enough cinnamon and sugar added to the mix. If you’ve never tasted applesauce or apple butter from a hot kettle on a cool fall morning you have no idea what you’re missing. 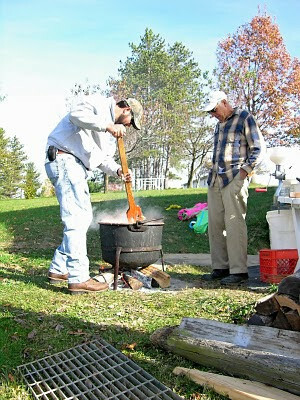 My brother stirring the apple butter while my grandpap watches. 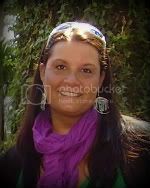 Picture by Becky. The day was wonderful, as apple butter making always is. There were laughs all around as Becky learned that a carhart was a jacket and as she explained what a townhouse was to my 14 year old cousin (who said, “ummm, we only have houses here”) who never really did quite grasp the concept. I may or may not have poked fun at Becky for locking the door to my house at 7:00 on a Saturday morning when people were still inside (small town living doesn’t require you really lock your doors a whole lot). At the end of the day, we were all thoroughly exhausted, wind burnt, full of great food (most importantly apple butter and ritz crackers), and I felt like life was a bit right again. Spending the day with friends and family was exactly what I needed to help slow my thoughts, take some stresses off my mind, and take some deep breaths. It’s so easy to see the beauty in your own life when you’re seeing it through the eyes of a visiting friend.